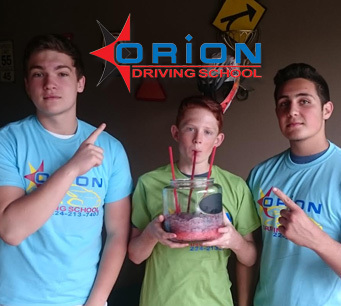 At Orion Driving School we only offer drivers education for teens and we have found the best practices to reach and teach teens. Orion Driving School is here to meet the need for an effective way to teach teens how to become safe drivers. At our Northbrook and Glenview Driving Schools location we believe that drivers education needs to be interesting, engaging and fun for the students. After successfully completing our Teen Driver Course, students will demonstrate competency in understanding the principles of safe driving.